RARE RIVERFRONT PROPERTY IN WINDOVER FARMS! Handsome Contemporary 2 story with finished basement. 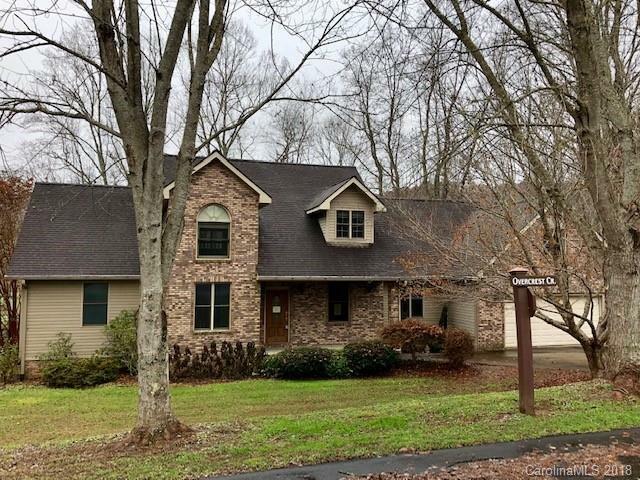 3BR/4.5 BA with covered front porch, rear deck, double garage on main and a fantastic rear yard that fronts the French Broad River. Incredible gourmet eat in kitchen with built in coffee maker, steam drawers, dual door dishwasher, granite and SS appliances. Separate laundry room with staircase to the upper level. Spacious master on the main with dual closets and master bath with jet tub and shower, living room, formal dining room, den with access to deck and large coat closet and pantry closet. Upstairs has guest rooms and a huge family/common room with lots of light, built in hall closets, hobby room with closet and colorful playroom /rec room. Basement has multiple storage rooms, large flex room with french doors to the outside , bonus room with walk in closet and full bathroom. One horse is allowed.